Congratulations to Team Hybrid for being featured in the event coverage of SpoCom Show, June 14, 2009 in Long Beach, Ca in Performance Auto & Sound September 2009 issue, pgs. 102-107. PAS wrote, "Now entering its 3rd straight year, the annual SpoCom event continues to turn up the heat in SoCal...Judging by the healthy turnout and strong support from the scene's top brands, the tuner scene was thriving inside the Long Beach Convention Center. Enthusiasts lined up to check out the hottest displays, rides, models, entertainment and products SpoCom could offer. Car crews and team displays were in full force as Team Hybrid, TWCompetition, Team Auto Concept Elite and many more all went head-to-head for the ultimate recognition with many of the sickest cars in all of SoCal." Not only are we named first in this list of the top West Coast teams in the industry today, but we took home 2 team trophies (2nd place Best Team Overall - Quality and 3rd place Best Team Display). We continue to be recognized and respected by our industry peers because we never take our status for granted. We continue to be humble, dedicated and trust ourselves to the Hybrid formula, tradition, family and leadership. 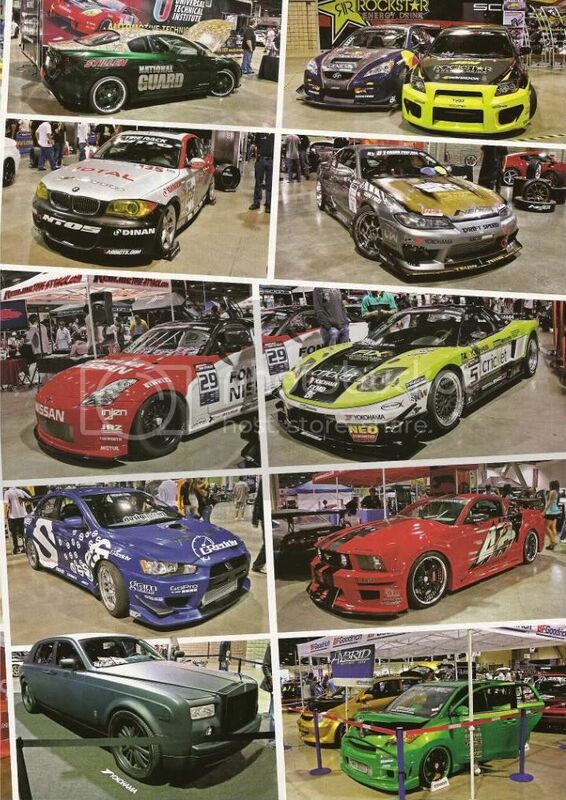 Secondly, on pg 103, there is an event picture of our front Hybrid/BFG/Meguiar's display with our two infamous, 1st place SEMA award winning xA and xD. Always appreciate the luv PAS gives us. Pg 103, lower right hand corner to see our award winning display & cars. Hybridzzz & Hunnyzzz are everywhere. This is only a small wave of magazine articles and/or features. That is why we may break our 2008 media coverage record. More waves and an even bigger wave is coming soon!